Luxury consignment marketplace The RealReal has made a big mark on the online luxury scene since it first debuted a few short years ago, being currently on track to generate $125 million by the year’s end. This incredible momentum is largely thanks to their focus on easy-to-use mobile apps, including one for shopping and one for consigning. 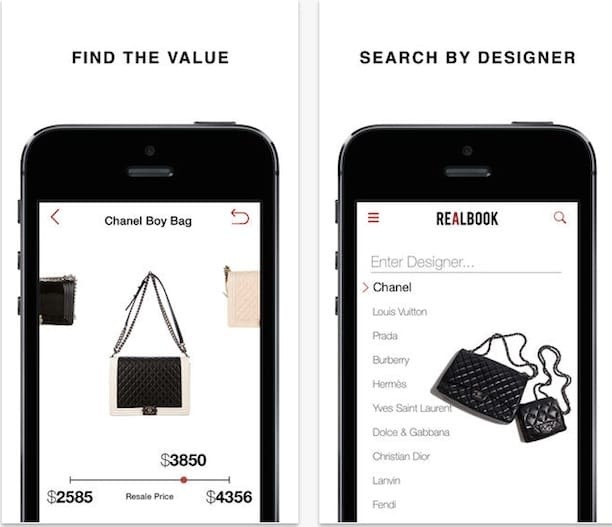 The RealReal’s latest app, however, might just outdo the others altogether; called RealBook, this simple yet powerful app lets users quickly find the true market value of tens of thousands of different luxury items, and trade them accordingly. Say you’re out shopping with friends, or browsing an open air market, and you see something you like. But is that price tag reasonable? Just open up RealBook, search through categories and designers to find the item you’re looking at, and immediately find out what it’s really worth. To make things even easier, RealBook also includes built-in functionality for buying or consigning items on The RealReal. It’s like their two previous apps combined, plus more. We have a feeling that things are about to get even realer for The RealReal, and their $125 million haul this year will be just the tip of the iceberg!